Call if you have a tree in your yard that "when" it falls, it will damage valuable assets such as falling on houses, cars, RVs, hot tub and of course, potentially falling on and hurting people. 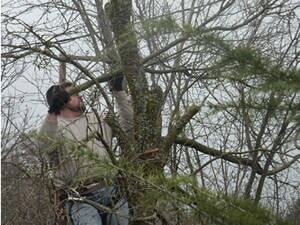 Mikes is experienced in taking down trees even in the tightest spots. 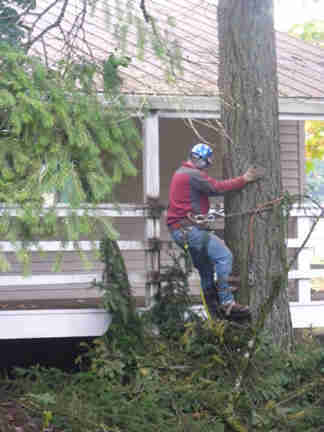 The pictures below show Mikes Tree Service performing dead tree removal because it had already fallen on a house. Dead tree fell on the house. Tree needs to be removed from the roof of the house. 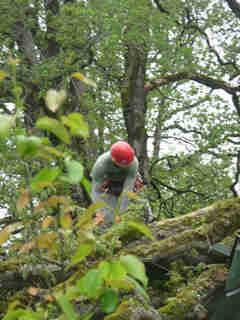 Tree Removal From House: Tree is cut into sections which can be safely lowered to the ground. 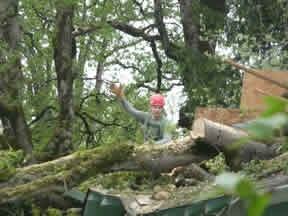 More of the tree is cut in sections. Mike's staff notes all is going well in getting this downed tree off the house..
Mike's Tree Service has tree removal experience with trees even when they are in close proximity to a structure, such as your house. 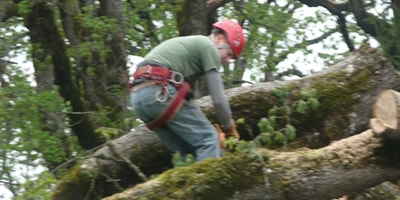 These pictures are from jobs in Washington County including Tigard, Portland and Beaverton. Call if you need tree removal services because you have a tree in your yard that "when" it falls, it will damage valuable assets such as the tree falling on houses, cars, RVs, hot tub and of course, potentially falling on and hurting people. 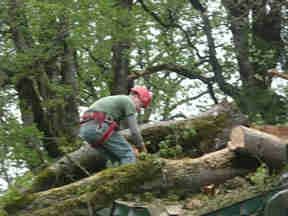 Cutting Down a Tree: The process of "tree felling" begins when the tree is cut into sections which can be safely lowered to the ground. 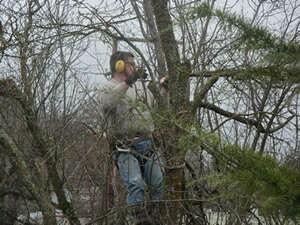 This tree service is also ideal if the landscape around the tree must be protected. 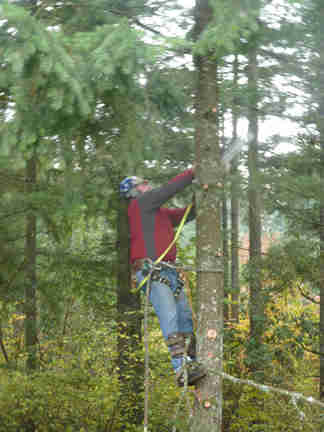 Mikes Tree Service shown here removing a dead tree. 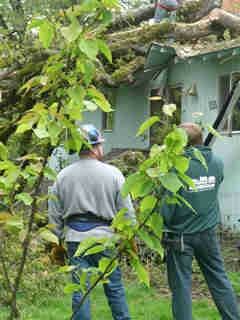 Removing a dead tree before it falls causing tree damage to houses, cars, fences.